Ellin with CTV News reporter Colin D’Mello (a former student of mine!) as the Emcee at the TDSB event. 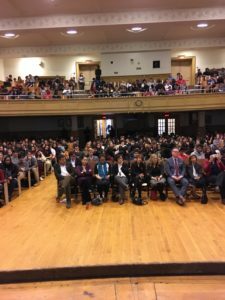 I recently participated (as a panel member) in a large and important Toronto District School Board event Nov. 8 for Remembrance Day, held at Danforth Collegiate Institute, where nearly 1,000 Grade 10 students from several city high schools came to hear about the “other” Canadians who served in our country’s military. 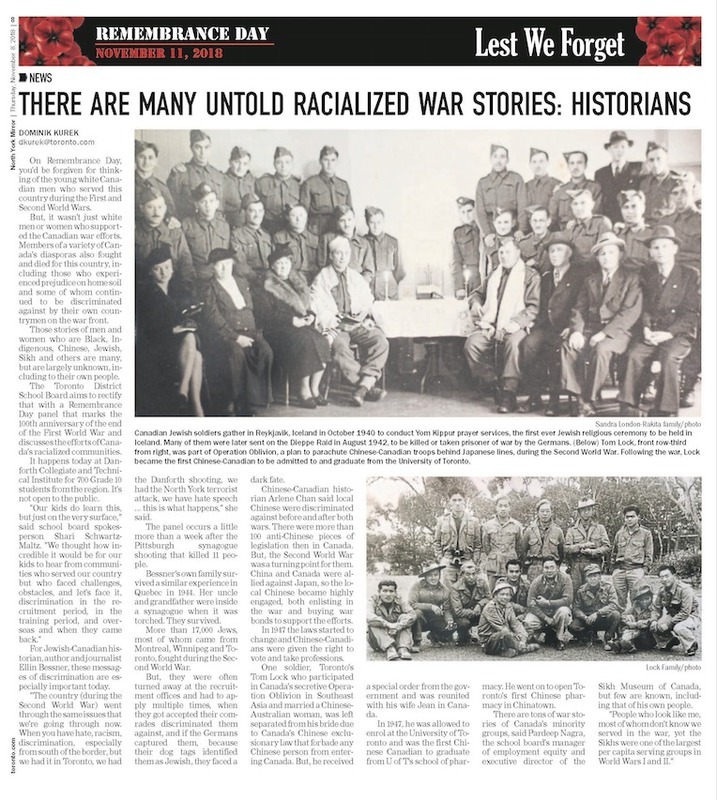 The students heard from historians and experts from the country’s minority communities which sent soldiers into uniform during Canada’s global conflicts: including Jewish, Chinese, Indian, First Nations, and Black servicemen and women. Many of the students said later that they were surprised to learn of the important contributions made by diverse communities to Canadian history. 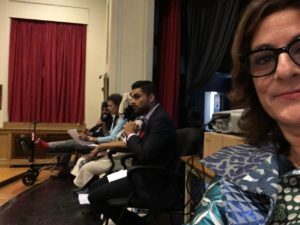 The event was so important, because the students themselves are a kaleidoscope of Canadians from many cultures and races and backgrounds, yet as one of the speakers said, public school history books on the subject of the First World War or the Second World War don’t often talk about “people who look like me”. In fact, when I asked the students who Anne Frank was, only a couple of hands went up. Are the students not learning about the Holocaust anymore? Here is a nice news story about the panel.